"I submitted a blank vote." " Well, I think I did. " Can you imagine not being able to vote because you can’t even get through the door of the polling site? What would you do if you couldn’t elect your favorite candidate because you can’t even read the ballot? And what if you couldn’t even vote for anyone because, when you tried watching them on TV to hear what their proposals were, you couldn’t understand a word they were saying? That’s the reality for many French voters who are disabled. There just aren’t all the necessary measures to guarantee that they will be able to vote the way they wish to. No one really knows exactly how many voters are disabled in France but it is estimated that they account for 10% of the total of 43.2 million. And unfortunately, it is extremely hard for these disabled citizens to exercise their right to vote. Among the issues they face is the fact that many polling sites are not easily accessible to disabled persons. People who use wheelchairs, for example, often experience much difficulty in entering polling sites because there no ramps available for them. On the other hand, individuals with hearing problems are not able to listen to candidates’ debates, interviews or conferences, whether in person or on television. The fact is, presidential candidates rarely employ sign language speakers who can translate for them so they may be able to understand what the candidates are saying. 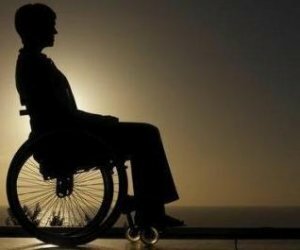 There are a few measures that have been established to help some of the disabled. Voting by proxy is possible when the disabled citizen cannot easily come to vote. In the case of handicapped or severely ill people, an officer of judicial police or delegate thereof can be sent to the home of the citizen to witness the designation. Still, there are very few helpful measures for people with mobility issues. It gets even more complicated when it comes to people with mental disabilities. France could definitely learn from the example set by countries like the United States, England and Spain. As part of the American with Disabities Act (ADA), the United States established the Voting Accessibility for the Elderly and Handicapped Act of 1984, which requires polling places across the United States to be physically accessible to people with disabilities for federal elections. The law also requires states to make available registration and voting aids for disabled and elderly voters, including information by telecommunications devices for the deaf (TDDs) which are also known as teletypewriters (TTYs). Learn more about it here. In addition, there are new experiments being made with technology in order to make the voting process easier to the disabled. Just last November, the state if Oregon tested the use of iPads to help disabled individuals vote. Learn more about the services available to the disabled in England here. Spain has established a very successul program to help disabled citizens exercise their right to vote. The program works closely with volunteer members of organizations like La Cruz Roja (Spanish Red Cross). The system allowed hundreds of people with disabilities to be able to vote in the general elections that were held on Nov. 20, 2011. The way it works is the following: the disabled person can call La Cruz Roja weeks or days ahead of the day they intend to vote (or even the same day) to ask for help in getting to the polling place. The volunteers then respond to the call and actually go to the homes of the disabled citizens and not only transport them to the voting place, in an ambulance if need be, but they even help them with mobility issues inside the polling office if necessary. They then take the disabled person back to their home. Watch this video from 00:42 to see how the process works (It’s in Spanish but you can still see the program in action).